Ace Auto Glass WAS FOUNDED IN 1997. THROUGHOUT OUR 12 YEARS OF SERVICE, OUR COMPANY HAS GROWN FROM A SMALL OPERATION TO WHAT IS NOW, SERVING THOUSANDS OF SATISFIED CUSTOMERS PER YEAR FROM AUTO GLASS REPLACEMENT TO AUTO GLASS REPAIR, HAVING OUR FREE MOBILE SERVICE IT IS BEEN OUR PRIORITY THAT IS A EXTRA TO OUR FINEST CLIENT. WE ARE A LOCAL AUTO GLASS COMPANY WITH A A+ SCORE IN CUSTOMER SATISFACTION IN THE HOU AREA! WE ARE AN ACTIVE MEMBER OF THE BETTER BUSINESS BUREAU. WE ARE PROUD OF WHAT WE DO AND WOULD LIKE TO GET THE OPPORTUNITY TO EARN YOUR BUSINESS. WE WOULD LOVE TO HAVE GREAT CUSTOMERS LIKE YOU! OUR GOAL IS TO GIVE OUR CUSTOMER ”TRUE VALUE SERVICE“ AND NOT JUST ANOTHER SALE HERE ARE SOME BENEFITS THAT WE CAN PROVIDE YOU WITH! ONE OF THE LARGEST INVENTORIES IN THE Houston Metropolitan Area AND WITH RESOURCES ACROSS THE NATION. QUALITY SERVICE WITH OVER 30 YEARS OF EXPERIENCE. DEDICATION TO 100% CUSTOMER SATISFACTION. WE WORK WITH THE TOP INSURANCE CARRIERS. AND WE HAVE THE MOST COMPETITIVE'S RATES ON THE MARKET! WE USE OEM QUALITY ON OUR INSTALLATIONS AND TOP OF THE LINE ADHESIVES TO KEEP FACTORY SPECIFICATIONS. 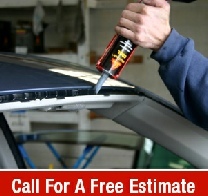 and more service from ace auto glass Repair in Houston.